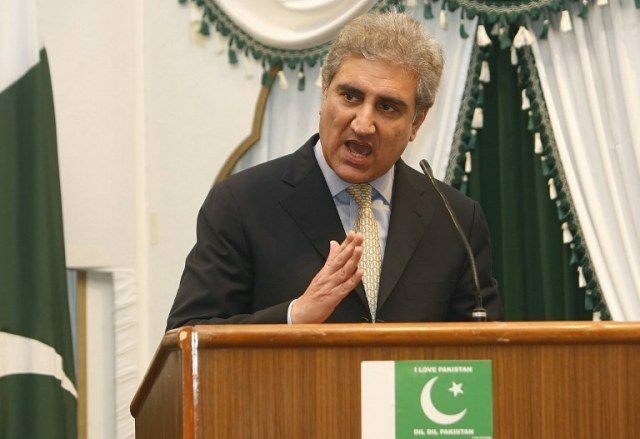 The protection of Aasia Bibi is the responsibility of the state, Foreign Minister Shah Mahmood Qureshi said Thursday. In an interview with the BBC, the foreign minister said that it is Aasia Bibi’s decision if she wants to live in Pakistan or not. Aasia Bibi, a labourer from Punjab, was convicted of blasphemy in 2010 and was on death row until her acquittal in October, last year. Since her acquittal, she has been in protective custody, with authorities refusing to reveal her whereabouts out of fear for her safety. The Supreme Court cleared the final legal hurdle in her case on January 29, dismissing a petition against her acquittal. The minister said that the world should trust Pakistan’s judicial system. Aasia Bibi’s daughters and her spokesperson have gone to Canada and they were given asylum there.